“By the grace God has given me, I laid a foundation as a wise builder, and someone else is building on it. But each one should build with care. For no one can lay any foundation other than the one already laid, which is Jesus Christ. If anyone builds on this foundation using gold, silver, costly stones, wood, hay or straw, their work will be shown for what it is, because the Day will bring it to light. It will be revealed with fire, and the fire will test the quality of each person’s work. If what has been built survives, the builder will receive a reward. If it is burned up, the builder will suffer loss but yet will be saved—even though only as one escaping through the flames. Don’t you know that you yourselves are God’s temple and that God’s Spirit dwells in your midst? If anyone destroys God’s temple, God will destroy that person; for God’s temple is sacred, and you together are that temple. The sermon below was preached on February 23, 2013, by Dr. Bill Nieporte, at the Patterson Avenue Baptist Church in Richmond, VA. You can read the manuscript below, or watch the video You may also visit the church website at http://www.pattersonavenuebaptist.com to watch this video, listen to the MP3, and subscribe to our weekly podcast. Whenever you visit a blog, be kind to the blog publisher. If you find a post helpful, inspirational, or even a bit controversial, PLEASE SHARE via social media. There are several links on this page to make such SHARING much easier. If the blog publisher provides ways to subscribe to RSS feed, Youtube, Twitter, Facebook, or other social media site…please join/follow/like – whatever the right term is for that media. Finally, if you notice advertisements that interest you – check them out. That way the blog publisher can continue to bring new post. It was something you just don’t see every day! In fact, it was such an unusual site that a crowd of several hundred gathered to observe. People brought their lawn chairs as they lined up along the route where this out of the ordinary event would be taking place. Many brought coolers loaded with lunch and stocked with their favorite beverages. That made sense, really, because what was about to happen would take several hours to observe. Over on Virginia’s Eastern Shore, an sweet elderly woman passed away, leaving her estate to her son, her only living heir. It was an estate that included a historic old home which dated back more than150 years. The home was a sturdy home, having withstood dozens of coastal storms and many accompanying floods. It was a majestic looking home, the first to be built in the little hamlet of Marionville. It was just a few doors down from the historic Red Bank Baptist Church, where I was honored to serve as pastor. The man who inherited the house had fond memories of being raised in that home. He wanted to maintain the home, but not at its current location. He wanted to move it four miles north, right up on the edge of the hustling and bustling metropolis know as Nassawadox (population 499). So everyone gathered to observe the relocation of that old house to his property four miles to the north. There are two main ways to relocate a structure such as this house. One is to disassembling and then reassembling the house at its new locale. The other option is to transport the house as a unit, putting it on a flatbed truck and driving it, ever so slowly, to its new location. It was determined that this latter approach would be the best for the moving of this old home. Just getting it ready for the move was a long and drawn out affair. Protruding parts of the house (like the chimney to the first place) would need to be disassembled. Obstacles along the journey, such as overhead cables and trees, would have to be accounted for in advance. Next, in a process taking several days, the entire house would have to be elevated, a few inches at a time, using a network of hydraulic jacks placed under the framework and controlled by a unified jacking system. As the house was slowly and painstakingly lifted, just a few centimeters at a time, wood beams called cribs were inserted and stacked to provide support. Then a temporary steel frame was inserted under the cribs to serve as a foundation for the house as it made its journey to its new location. When the day came for the house to begin its journey, it had become a major news event. The local radio and weekly newspaper had a reporter on the scene. Police officers blocked off long stretches of the road, diverting all traffic, so that the house could make its 3/4 mile per hour trip four miles down Seaside Road. People gathered to watch, many of them in the parking lot of the church, as the house made its slow journey to its new resting place. The journey began late morning on a Tuesday. The house arrived at its new location by around supper time. It took several more days for the contractors to remove the cribs and take away the temporary steel foundations. Finally the process was complete as the home came to rest on its new foundation. Within the year, the house was deemed an unsafe place to live. A new set of contractors were hired to demolish the old home. The foundation for the home was unsteady, uneven, and unsure. It was not a sound place upon which to place a house. In today’s text, the Apostle Paul likens our lives and the church as a temple, a building, a structure – and then he reminds his readers about the importance of having a steady and sure foundation for this structure that God is building out of us and among us. This past week I had lunch with a pastor of a relatively new congregation – a group of people who he is trying to inspire to think about foundations. I have not been able to get this conversation out of my mind. I haven’t found the way to escape his provocative question. It has crystallized for me some of what God has been doing in my life. What might it mean to cast aside all religious enterprises? What might it mean for us to take seriously the biblical teaching that Jesus Christ should be our one and only foundation? I have to admit my own addictions. I started out in two little congregations in rural Indiana while I was still a student in seminary. One was in the United Church of Christ tradition, the other was a Presbyterian congregation. I preached at the first at 10:00AM and the latter at 2:00PM. “What these folks need is some good old fashion Baptist style revival preaching!” I thought to myself. So that’s what I gave them, fully convinced in my youthful exuberance that if they could just get some “Baptist” into them, we’d be about to launch from right there in New Albany the next great spiritual awakening. Revival was going to break out across the lands starting from those little congregations out in the middle of nowhere. I remembered the day that reality came crashing in. I had just preached my little heart out to these fine folks, and I offered an alter call – something that was not a part of their tradition. They put up with it nicely, didn’t complain, nor did anyone respond. After the service, however, two ladies greeted me – one after the other – in the little foyer at the entrance to the sanctuary. I anticipated that they would testify how the Holy Spirit has transformed them that very morning. I had given them my best “Baptist” and “Evangelical” effort, while they were focused on the thermostat. 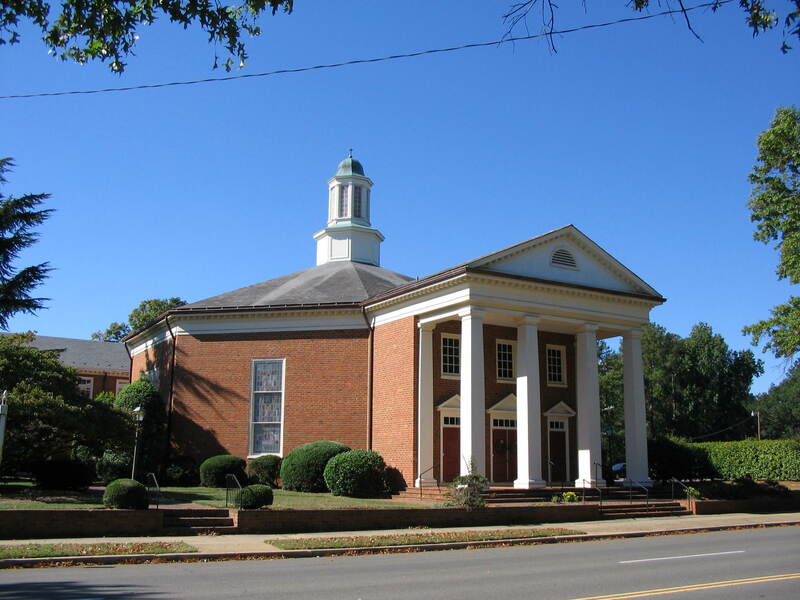 When I finished my seminary degree, I was called to my first “full-time” position on Virginia’s Northern Neck, to the historic Morattico Baptist Church in Kilmarnock, established in 1778. I was a smart fellow. In addition to my own scholarly teaches and professors, I was steeped in the theological writings of people named Barth, Bultman, and Bonheoffer. I was a pastor some “salt-of-the-earth” types folks who had spent their lives as farmers tilling the land or as waterman working the Chesapeake Bay. I was certain that if I could share with them the big theological ideas of my professors and the great theological thinkers of the church that somehow these ” ideas” would turn the church around. I soon discovered that they were not so interested in big thoughts and insightful ideas. They had bills to pay, babies to raise, and grandparents to take care off. The big ideas left them feeling cold and disconnected from the God they wanted to know and the Christ they needed to experience. I moved to Charlotte, NC next. I was finishing my doctoral degree and attending seminars, conferences and workshops, all aimed toward helping the church to grow. But much of it was focused on a business model for being church. I led them to create mission statements and vision statements. We talked about identifying our niche in the community – the specific needs we were most suited to meet among the people in our community. If you looked at the numbers – the numbers were good. The community had been rural, but was quickly becoming suburban. We had a huge piece of property, including a big soccer field. We had all sorts of community leagues playing on the field. The result was that we never had a Sunday in four years when we did not have a first-time guest. In that same among of time we had just about 150 families join the congregation. But inside the congregation there was something missing. There was no depth, no spiritual moorings. There was no sure foundations being built. The results was conflict. I used all my training and psychological tricks to try to manage and redirect the conflict energy in a more positive direction, but they would have none of that. One of my favorite preachers, Bill Self, talks about the joys of being a grandfather. One of those joys is being able to take his grandchildren to do special and wonderful things. Recently, that involved taking his two grandsons to their swimming lessons. He shares how the pool was enclosed in a rather large building, and that the sounds of all those excited children of different ages and abilities was almost deafening. Self noticed that almost all the noise was coming from the shallow end of the pool. The only sound coming from the deep end was the sound of experienced swimmers swimming with discipline and confidence. There was no yelling, no crying, no complaining, no evidence of fear or frustration. They were following the instructions of their leader. It is like that in a church that has no spiritual depth. It is like that in a congregation that does not recognize that Jesus and his gospel are their certain and sure foundation. Where does the noise come from? It comes from the shallow end of the pool, from those who are not willing or secure enough to venture into the deep water. Lots of people populate the shallow end of the pool. There is typically a lot of excitement, a lot of noise, and plenty of people in the shallow end of the pool. That’s what it was like for me in Charlotte. I was dealing with lots of people and lots of noise, but few people were venturing into the deep end of the pool. Frankly, I spent too much time content with the shallow waters as well. I felt like my job as a pastor was like that of the “Cruise Director” of the “Love Boat.” I felt like I was simply there to inspire everyone to smile as I put on a plethora of programs all aimed to try and make people feel happy. It’s been getting under my skin for a while. For several years, in fact. It was having lunch with my friend, recently, that helped me to crystallize the question that’s been pricking my conscious. What might it mean to cast aside all the trapping of our religious enterprises so that we might allow ourselves to be built up only around Jesus Christ and his gospel? Everywhere you look it seems like some congregation has come up with some sort of game or gimmick that they figure is THE ANSWER. Churches market themselves to consumers of religion. It’s not a new question. It’s the very issue Paul was addressing in this letter. He is talking to a church tempted to build its life about big idea, big actions, big emotions, or a particular brand and style. Paul teaches that such churches are doomed. Where does our life flow from? It flows from JESUS. He teaches us that HE is the vine, and we are the branches. Connected to HIM, we grow. Disconnected, we are worthless. Fruit doesn’t come out of nowhere. It comes from a branch connected to the vine. A building will not stand on shifting sand, it must be set upon the sure and certain foundation who is Jesus Christ. That does not mean that we will be devoid of big ideas, big actions, and big deals…but that all of that will flow from the connection we have with Christ. What we do and the way we do it will flow from the life that is Christ in us and among us. It will be built on the foundation that is Jesus and never be seen as the foundation’s replacement. I do know one thing for certain. If Jesus is not the source, center, and sure foundation, then no gimmick will ever make it happen. When Jesus is our sure foundation, we’ll not worry about the style, as much as being energized by its content. When Jesus is our sure foundation, we’ll not get worked up over clerical robes or golf shirts, but we will be focused on whether or not we are encountering the living Christ? Our calling is to know that we are Jesus people…that we are members of his body and that he is the church’s one, certain, and sure foundation. Our calling is to rediscover Jesus. Today a renewed and vigorous scholarly quest for the historical Jesus is underway. In the midst of well publicized and controversial books on Jesus, N. T. Wright’s lectures and writings have been widely recognized for providing a fresh, provocative and historically credible portrait. Out of his own commitment to both historical scholarship and Christian ministry, Wright challenges us to roll up our sleeves and take seriously the study of the historical Jesus. He writes, “Many Christians have been, frankly, sloppy in their thinking and talking about Jesus, and hence, sadly, in their praying and in their practice of discipleship. We cannot assume that by saying the word Jesus, still less the word Christ, we are automatically in touch with the real Jesus who walked and talked in first-century Palestine. . . . Only by hard, historical work can we move toward a fuller comprehension of what the Gospels themselves were trying to say.” The Challenge of Jesus poses a double-edged challenge: to grow in our understanding of the historical Jesus within the Palestinian world of the first century, and to follow Jesus more faithfully into the postmodern world of the twenty-first century.